An afternoon recital at King Charles the Martyr Church, 33 Church St, Falmouth, TR11 3DX, Cornwall, UK. Free entry with voluntary collection at the door in aide of CMST. Come and enjoy two international musicians perform a concert programme called ‘Spinning the Light’, a relaxed recital of flute and piano music – with sounds that are guaranteed to welcome the summer sun and dazzle you from the inside out. 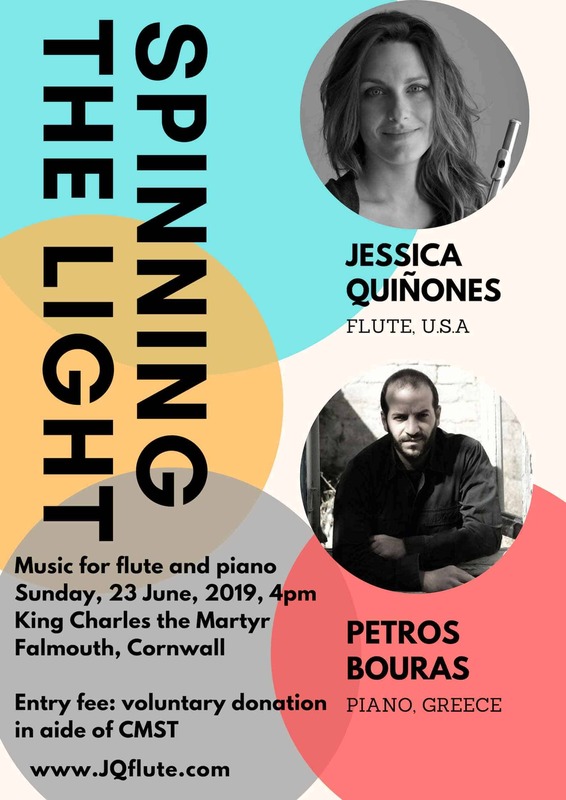 American Flautist Jessica Quiñones and Greek pianist Petros Bouras will be performing music around the theme of the arrival of light and the solstice.